The Lost Nomads had their beginnings in the bellydance community of central NC. These were guys who were not satisfied to just sit and watch their wives dance, but instead got involved by playing drums. Gradually some of the members starting picking up, and experimenting with other instruments, and began practicing on a regular basis. The band was officially formed in 2008. The line-up has changed since then, but some of the original members are still actively involved. Andrew spent his early years in South Africa and has always had a fascination with world music and other music that is off the beaten track. In 2002, he started making electronic music using drum machines and computers. Gradually he started learning and incorporating live percussion and instrumentation into his productions. Andrew's interests in Middle-Eastern music grew after his wife took up bellydancing. He has been studying the oud under the tutelage of Naji Hilal since 2009. Andrew recorded and produced both of the Lost Nomads' albums, and has released his own music as well under the name of Afrit Temple. He is one of the founding members of the band. "When dancers are enticed to their art by rhythms and melodies of our creation, there can be no greater compliment. Creating a musical environment that makes dancers not just want, but need to dance is my ultimate goal." Andy began studying Middle Eastern and free-style percussion in the mid-1990s, influenced by the work of Turku, Gypsy Caravan, and Hossam Ramzy, among others. His drum tutor, Dan "Hanuman" Boyle, encouraged not just practicing Middle Eastern rhythms, but playing along with ANY kind of music... to feel how it moves and learn how to move with it. This approach appealed to Andys love for many varied forms of music, especially the fusion of Middle Eastern and western musical flavors. As a musician with Blue Moon Dance Company, Andy began to explore more complex rhythmic patterns & layering and writing original pieces. 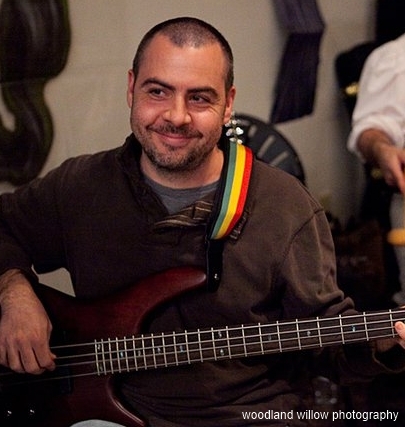 As a member of the Blue Moon dance company, Brian was first initiated into the world of Middle-Eastern music and learned to play drum and djembe from Andy. As he continued on his journey of inspiration, he expanded his musical horizons by learning to play the saz and the cumbus. He was also motivated to reach out to other musicians in the local community and founded the core of the Lost Nomads with Ken, Andrew and Andy. He has been inspired by his lovely wife, fellow members, and a multitude of musicians he has had the privilege to learn from and share the love for this art form. He is one of the founding members of the band. Dikran was born in Nazareth, to Armenian parents who escaped the genocide of 1915. 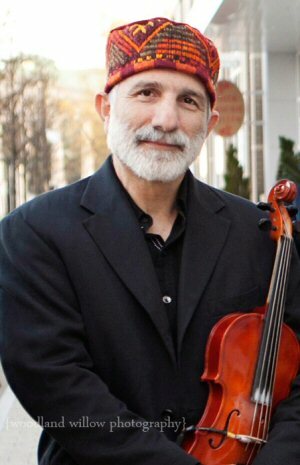 He learned to play the violin at a young age and grew up listening to a rich mixture of Armenian, Palestinian, Arabic, Ashkenazi and Sephardic Jewish music, as well as classical music. 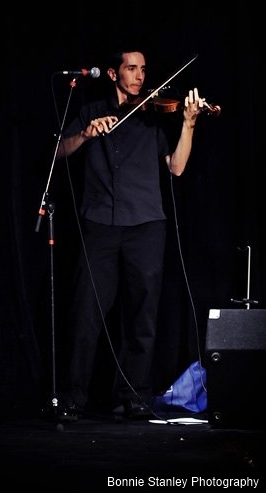 After coming to the US, Dikran played "Old Timey" and traditional American music for a while before putting the fiddle aside for many years. He was taken by surprise hearing The Lost Nomads play the Armenian song, Karoun Karoun, at the 2010 Raleigh International Festival. This chance-encounter reignited his passion for middle-eastern music, in all it richness and variety. He gradually began practicing and playing with the Nomads until he became a Nomad himself. He enjoys the wonderful camaraderie and thirst for learning of his fellow Nomads. Gail has been drawn to the beat of the drum since childhood, playing on desktops in grade school and steering wheels in later years. 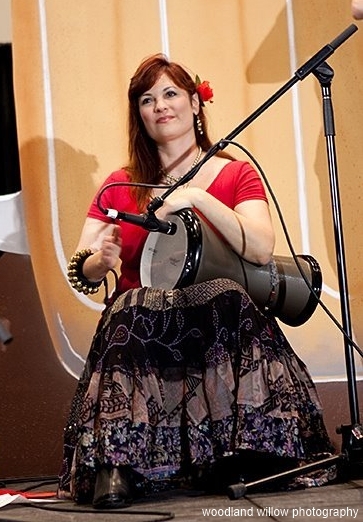 She finally started playing the real thing in 2008, when she discovered the djembe. Gail joined a West African drum ensemble, the drUUmatics, on Long Island, New York. She went on to learn the dununs and congas. "The rhythm of the drum is spiritual and healing, exciting and joyful. One of my greatest joys is seeing people dance to the music we create." 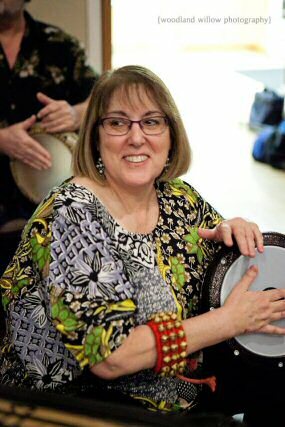 Gail relocated to the Triangle in 2013 and continued her love affair with drumming and world music. In August 2014, she began studying darbuka under oud player, Naji Hilal, who then introduced her to the Lost Nomads. She immediately fell in love with their music and the belly dancing community. Mara has been a Middle Eastern dance instructor and performer for 10 years in South Florida and North Carolina. Her specialty is Arab-Spanish fusion and Gypsy style dance. While swaying her body to the beautiful melody of the oud and nay, plus the staccato rhythms of the drum, she began her new affair with the instruments themselves... Here began this dancers journey into becoming a musician. Mara has been drumming for 3 years under the tutelage of John Price and Souhail Kaspar. She recently starting studying and playing the Arabian and silver flute as well. Rua plays anything he can get his hands on. Everyone once in a while, when he gets a song stuck in his head, he tries to sing a little and is currently learning Arabic and Turkish. He's played in a number of different bands since college and got into Middle-Eastern music after learning drum and Riq from John Price and Souhail Kaspar. 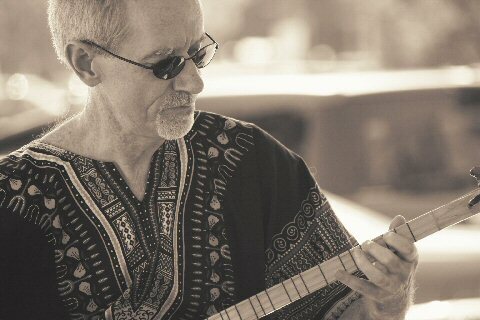 After hearing the Lost Nomads perform, he was hooked, and has been studying Middle-Eastern music ever since. Site ©2011 by Andrew Shakinovsky. Image Copyright peacay.